Over the past few weeks, excitement was steadily mounting on the windowsill. First came the stalk that poked up from the bases of whorls of leathery leaves. Then, buds started fattening up along the stalks. Finally, after a half a decade of growing Dendrobium kingianum, the pink rock orchid, it looked like the plant might finally reward me with some blossoms. Which it did, a couple of days ago. The actual blossoming was somewhat anticlimactic. No flamboyant shapes or colors, just small, white blossoms. And no particularly green thumb was required to get this orchid to blossom, just time. Pink rock orchid is known to be a tough plant. While many orchids are native to lush, tropical jungles, the conditions of which are hard to even approach, indoors except in a hothouse, this orchid is native to rocky environments of Australia. It tolerates cold below freezing and hot temperatures over 100°F., and does not demand an inordinate amount of light. I water whenever the potting mix seems dry. The problem is that “orchid flowering” conjures up both a greater challenge and blossoms more spectacular than are offered by pink rock orchid. So I’m now just going to look upon it as an attractive houseplant with an attractive flower. It even has a pleasant, slight scent. I’ve waxed enthusiastic about the handfuls of ripe figs I gather up in late summer and into fall from my greenhouse. And about heads of lettuce and mâche, celery stalks, and sprigs of parsley that fill salad bowls all winter. Yet all is not always so Eden-like within the greenhouse. Last year scale insects began to attack a couple of fig trees. Innocuous-looking, small bumps on the bark -- dormant scale insects -- threaten to wake up in a larger outbreak this year. Action is needed. Now. Last year at this time my weapon was an old toothbrush and a solution of soapy water. The brute force method of scrubbing the insects from the bark was effective -- to a point -- but tedious. Oil sprays have been around for a long time -- commercially for over a hundred years -- and have the advantages of causing little harm to beneficial organisms and being relatively safe for birds, humans, and other mammals. Insects and mites (which oils also control) have little likelihood of developing resistance to oil sprays. The oils might be petroleum-, plant-, or fish-based. So what’s not to like about oil sprays? Most importantly, they can damage plants. To avoid damage, sprays must be applied when temperatures are above freezing but not too, too hot, say above 90°F. Also, some plants, such as Japanese maple, redbud, azalea, hibiscus, and sugar maple, are readily damaged by oil; and oil will strip the blue, waxy coating from Colorado blue spruce, turning the needles green. The longer any plant is coated with oil, the more chance for damage; low humidity hastens its evaporation. Spray oils work by direct contact, which is advantageous unless you have a pest whose eggs are resistant to oil and keep hatching over time. Or if the pest flies in from elsewhere. 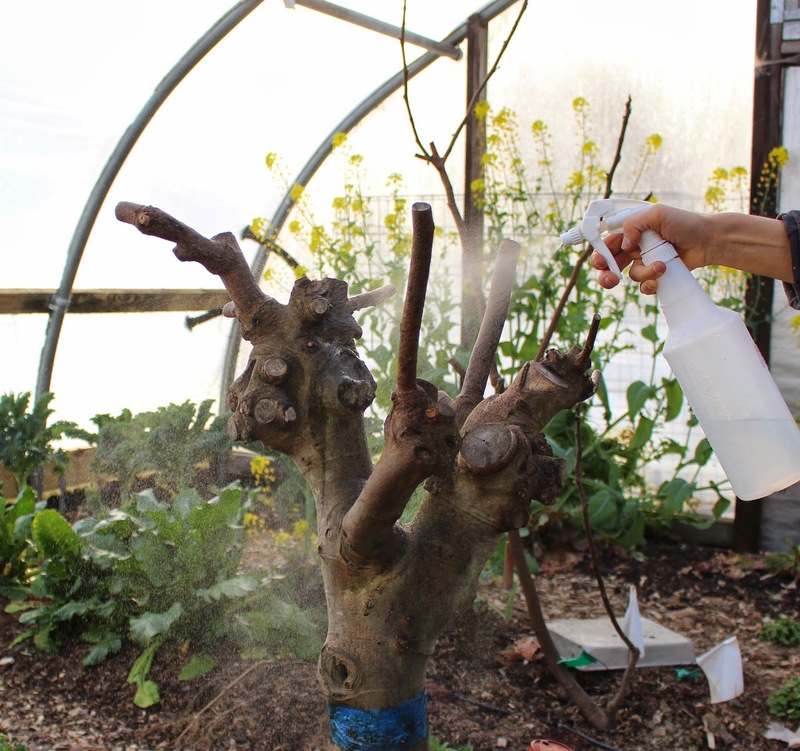 Many gardeners routinely spray their fruit trees in spring with oil, with little effect because the most significant pests of fruit trees generally do not hang out on the stems or fruits for long enough for a direct hit by an oil spray. Back to the fig trees in my greenhouse. They’re getting weekly sprays of dormant strength summer oil until the leaves begin to unfold. Once that happens, I may mix up a batch of summer strength oil. The goal is to reduce populations drastically because, despite the innocuousness of oil sprays, I’d rather not spray anything once fruits begin to develop. My other tack to keep scale insects at bay is to wrap the trunk with a band of masking tape coated with sticky Tangletrap, providing a Maginot line to stop ants from climbing the trees. (Hopefully, more effective than the real Maginot line.) Ants enjoy the sweet honeydew exuded by the scale insects and, in return, herd them, protecting them from predators. Spraying and banding may seem like a lot of effort. But fresh figs are worth it. And with snow still on the ground, there’s not that much else to do, gardenwise, yet this time of year. And the winner of my book giveaway from last week is . . . (drum roll) . . . reader Meg Webb. Hey Megg, send me an email with your mailing information and I'll get the book to you. Thanks to everyone else for their feedback. I have to admit a certain addiction for propagating plants. You would think that, what with sowing cabbage and Brussels sprouts seeds for transplants last week, starting tomato transplants in early April, grafting to make new Korean mountainash and apple trees and . . . ., any appreciation for propagation would be fulfilled. But no. The seeds within a freshly eaten kumquat; why not plant them? Some of the seeds within a just eaten hardy passionfruit (Passiflora incarnata); plant them also. Not that every seed gets planted. Just some of the more unusual ones or just a few of those that are more usual. Without any restraints, a forest of apple and pear trees would have long ago inundated me. stretched out to a very unattractive 2 foot length. All that was needed to bring the plant back to its visual glory was to cut everything back to some tufts of leaves sprouting near its base. Which I did. But those pruned stems; could I really just toss them into the compost pile? No. “Make new plants,” whispered the devil on my left shoulder. Which I did. All that was needed to make more of this relatively easy-to-propagate plant was to cut the pruned stems into 4 inch lengths, with each bottom cut just below a node and each top cut just above a node. Best wound healing is at nodes, so such cuts avoid dead stubs with poor healing. All but 2 or 3 leaves were removed from the 4 inch stem segments at the ends of the stems in order to strike a balance between cutting down water loss from the as yet unrooted stem pieces and allowing for some photosynthesis to feed the stem. To grow new leaves and roots, the leafless stems segments will have to rely on their stored energy reserves. To save space, I filled a flowerpot with potting soil and poked each stem segment about two-thirds of its length deep into the soil, then watered. A clear plastic cover over the planted pot increases humidity to further reduce transpiration of water from leaves until roots form. Pruning shrubs, which generates a lot of stems, could be a real test of my restraint. Shrubs are shrubs because they generally don’t have long-lived permanent trunks, like trees. Every year, new stems arise from at or near ground level. 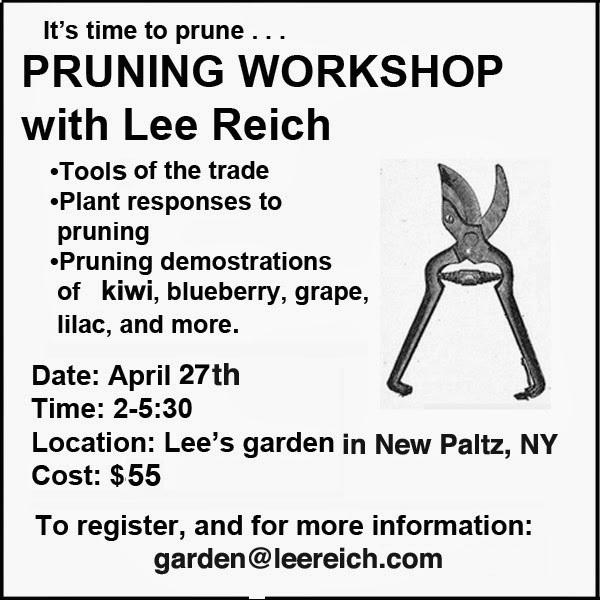 The way to prune shrubs, then, is to capitalize on this characteristic, by so-called renewal pruning, each year removing some oldest stems and excess youngest stems (suckers). Pruning is done near or at ground level. In so doing, the roots get older and older but no stem ever gets very old, and youngest stems have room to develop. Easy enough. The wrinkle in renewal pruning is knowing when a stem has overstayed its welcome. 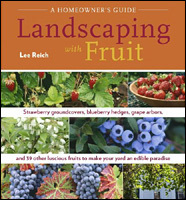 If you know the plant, you can just look up the information -- in my book, THE PRUNING BOOK, for instance, in which I group all shrubs into one of four pruning categories. Easiest of all is to prune is the category of shrubs that includes witch hazel and tree peony. These shrubs perform well on old stems and make few suckers so no annual pruning is necessary to keep them looking prim and proper. Lilac and forsythia are in the category of shrubs that flower on one-year-old stems originating up in the plant off older stems. So individual stems need not be cut back until they are a few years old. Each year, though, many new sprouts originate at ground level, too many. Their numbers need to be reduced enough so that those that remain have sufficient elbow room as they age to replace older stems that will be cut away. Kerria is in the category of shrubs, along with snowberry, abelia, and rambling roses, that blossom best on one-year-old wood growing up right from ground level. Prune them by cutting away all stems 2 years old (and older, if a shrub has not been or is not being pruned annually). The final category, counting butterfly bush and Hills-of-Snow hydrangea among its members, perform best on each season’s new, growing shoots. They’re also very easy to prune: Just cut the whole shrub down in spring. That’s a lot of stems for propagating. Still, restraint is easy with butterfly bush because the stems anyway are typically dead here by the end of winter. The roots survive, though, giving rise each spring to shoots that flower in summer. My filberts present one more wrinkle in shrub pruning. Filbert can be trained as a tree or as a shrub. But consider: filberts are susceptible to a disease, filbert blight, which can eventually kill a stem. This makes a good case for renewal pruning, i.e. growing them as shrubs. On the other hand, squirrels love filbert nuts, and one way to keep them at bay is with metal squirrel guards, feasible only on filberts trained as trees. For now, dogs, cats, traps, and high grass have kept squirrels at bay, so I’m opting for filbert shrubs. The stems are very difficult to root so today’s prunings don’t even tempt me. 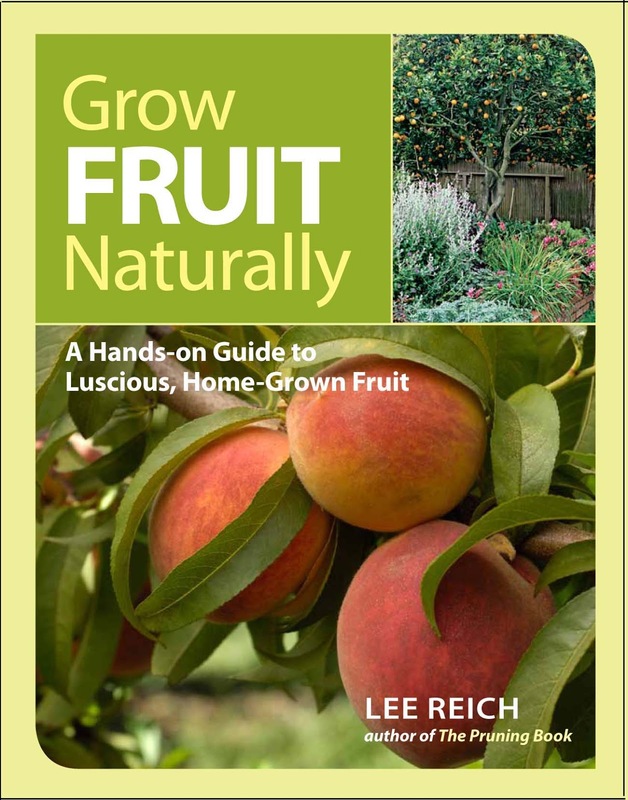 A book giveaway, a copy of my book GROW FRUIT NATURALLY. Reply to this post with what fruits are most and least successful in your garden or farmden. Also tell us what state you are in (as in NY, OH, CA, etc., not happiness, wistfulness, etc.). I'll choose a winner randomly from all replies received by March 23rd. The reason for this call is that my weeping fig, although it could soar to 75 feet outdoors in tropical climates, is in a small pot being trained as a bonsai. Now that the plant is just about ready to grow is the time to cut it back so that new growth remains proportional to the size of the pot, the roots, and the dictates of design. At three and a half years old, my tree is only 6 inches high -- and I want to keep it that small. Its pot, after all is only 4 inches long by 3 inches wide, and an inch deep. Before I even get to the stems, I cut off all the leaves. True, this is not good for a plant, but my plant is healthy so can tolerate the stress. I go through the trouble of snipping off each leaf because that dwarfs, to some degree, new leaves that are about to emerge, keeping them more in proportion to the size of the plant. With leaves pruned off, time to move on to the roots. Since the plant was last re-potted, a year ago, roots have thoroughly filled the soil in the small pot. There’s little or no room for new root growth, and new roots are the ones that drink in water and what few nutrients are left in the old soil. The only way to make room for new soil and root growth is to get rid of some old soil and roots. I tease out old soil from among the roots and then prune away about a third of the old roots. With that done, I pack new soil into the pot, just enough to put the plant, with its surface mat of moss still in tow, sitting at the same level as before the root pruning. The stems need little pruning. I snip off a crossing stem here, one reaching too far over the edge of the pot there, and another that threatens to extend too far skyward. Although stems made little growth over the past year, they, and especially the trunk, did thicken, helping to give the little tree an appearance venerable beyond its years. I haven’t looked, but my guess is that my fruit trees are also beginning to feel the effects of impending spring. Bouts of warm weather are the driving force in this case. One week we have highs in the ‘teens or twenties, another week highs are in the 40s or 50s. Back and forth through winter. Plants went into winter well able to resist enticements of warm weather. That’s because until they’ve experienced a certain number of hours at chilly, not frigid, temperatures, they remain dormant and unwilling to grow. Once reaching about 1,000 hours total accumulated exposure to temperatures between 30 and 45°F., they begin to de-harden, that is, become less resistant to cold and more ready to grow. true, but it ain’t necessarily so. In some very cold regions, spring comes on quickly without looking back, and the growing season is short. 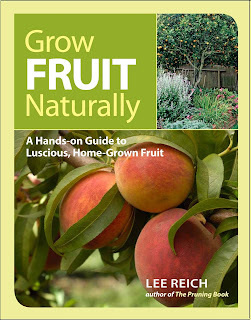 Fruit plants adapted to such regions must be ready to grow at the first breath of spring if they’re going to have time to ripen their fruits within the growing season. Just a little chilling at the beginning and/or end of the season is all they need. With most fruit trees, flowers are the first evidence of awakened growth. But if they open too early, subsequent cold turns their colorful petals to brown mush. Dead flowers also cannot go on to become fruits. I admit to being somewhat foolish for planting an apricot tree, a tree native to Manchuria, a region that experiences those cold winters and quick, steadily warming springs. 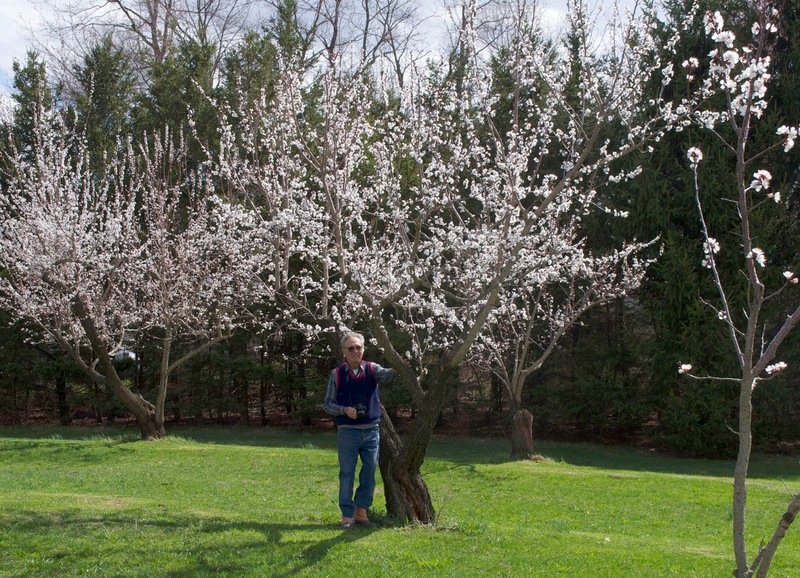 The climate here in the Hudson Valley (and over most of continental U.S.), and especially at my less than perfect site for fruit-growing, has a good chance of fooling apricot trees into acting as if cold weather is past long before it actually is. My foolishness won’t be in evidence this year, though, because the tree is still too young to flower. The sound and feel of crunchy snow underfoot are reminiscent of cold, snowy winters past. Pity poor trees and shrubs; they can’t stomp their limbs or do jumping jacks to get their sap moving and warm up. The sap has no warmth anyway. Still, except for garden and landscape plants pushed to their cold limits, plants do survive bitter cold. Peonies, delphiniums, and other herbaceous perennials opt for the easiest survival route, letting their tops die off each winter. Anticipating frigid weather way back in late summer, they pumped nutrients in their stems and leaves down to their roots. What’s left of these plants spend a mild winter underground, especially mild beneath a blanket of snow. Low growing plants whose stems and leaves stay alive in winter have it almost as good as those survived only by their roots. Near the ground, these plants aren’t exposed to the full brunt of winter winds or cold. And when Mother Nature decides to throw down a powdery, white insulating blanket, all the better. Just in case Mother Nature wasn’t going to cooperate with that blanket, I took it upon myself to throw a blanket of pine needles over my strawberry bed to protect them from cold. Think about it: Water freezes at thirty-two degrees Fahrenheit -- not a particularly cold temperature for a winter night -- and plants contain an abundance of water. Water is unique among liquids in that it expands when it freezes, so you can just imagine the havoc that would be wreaked as water-filled plant cells froze and burst. Yet plants that hold their heads high and upright all winter do weather the cold. One tack is to shed those parts most likely to freeze -- leaves. That still leaves water-filled cells of trunks and stems having to stand up and face the cold. Water doesn’t necessarily freeze as soon as temperatures drop below thirty-two degrees Fahrenheit. To freeze, water molecules need something to group around to form ice crystals, a so-called nucleating agent. Without a nucleating agent, water "supercools," remaining liquid down to about minus forty degrees, at which point ice forms whether or not a nucleating agent is present. All sorts of things can serve as nucleating agents -- bacteria, for instance -- so plants may not be protected all the way down to minus forty degrees by having their water supercool, but just a bit of supercooling may be all a plant needs to survive winter cold. 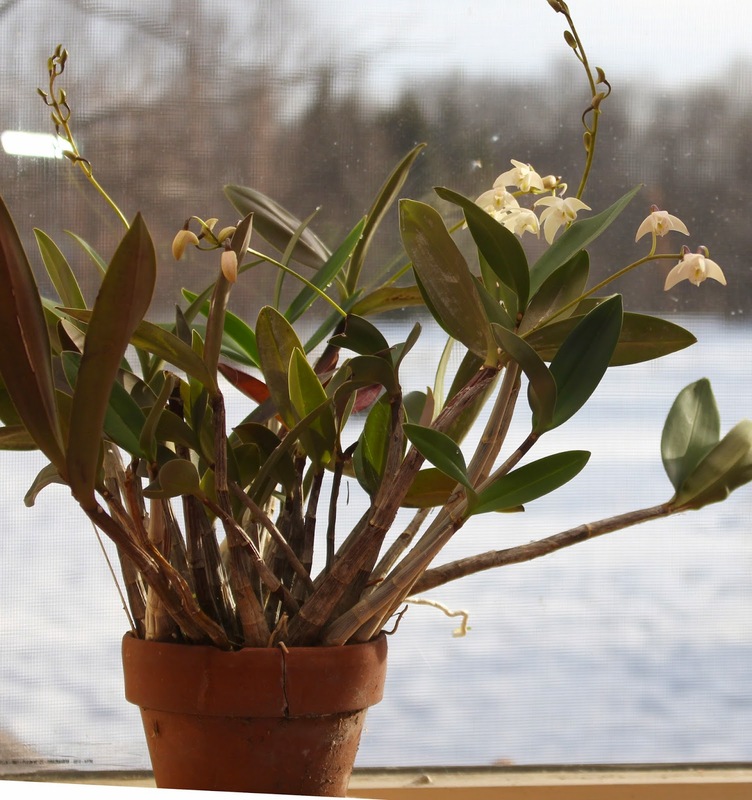 Plants have another trick for dealing with cold, one that is effective well below that minimum supercooling temperature. That trick is to gradually move water out of their cells into the spaces between the cells, where the water can freeze without causing damage. Cell membranes are permeable to water, so as temperatures drop ice crystals that form outside plant cells grow with the water they draw out of the cells. As temperatures drop, then, the plant is now threatened more by dehydration than by freezing. One other thing at work for the plants here is something called freezing point depression, which is why antifreeze keeps the water in your car radiator from freezing and salt melts ice. Basically, whenever you dissolve something in water, you lower the resulting solution's freezing point, more so the more that's dissolved. Plant cells are not pure water, and as the liquid in those cells losing water becomes more and more concentrated in sugars and minerals, their freezing point keeps falling. 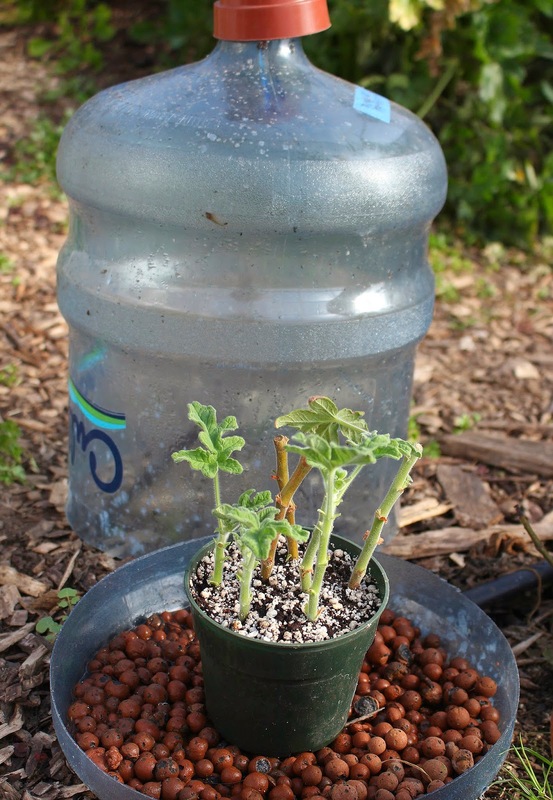 Plants toughest to cold are those that are best at reabsorbing the water outside their cells when temperatures warm. 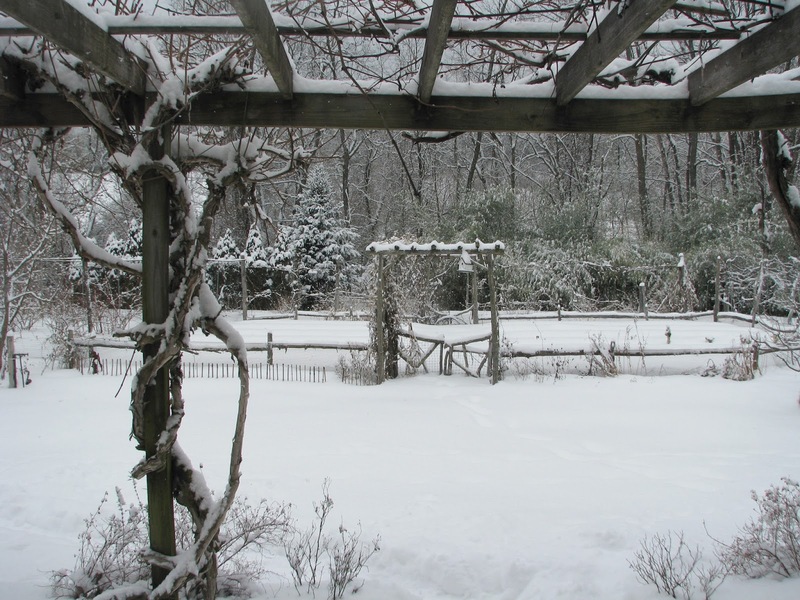 What’s a gardener to do in cold weather? Ski, of course. Which this year is going to greatly improve my gardening. 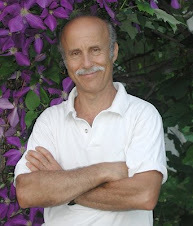 Wand.” I contend that paying attention to and ministering to plants’ water needs goes a long way to good gardening. 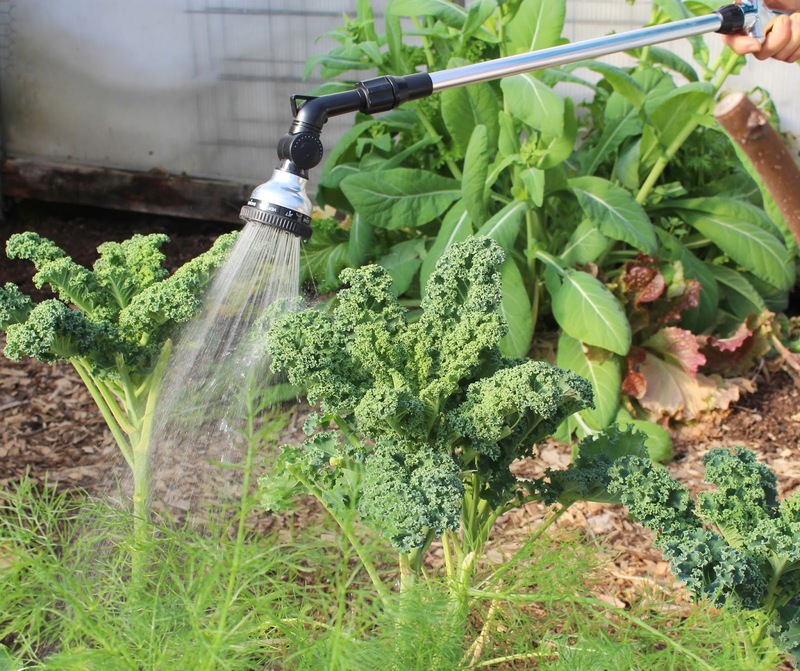 I’m expecting this watering wand, with options for everything from misting water, to gurgling it to making a soft shower, and more, to keep my plants even happier than they’ve been. I also like the sturdy, metal construction and, especially for watering hanging baskets, the articulating head with extensible reach. This year’s longer and colder reach of Old Man Winter’s fingers could help with pest problems. Over the past few years, associated but not necessarily the result of warmer winters, the likes Japanese beetle, marmorated stink bug, spotted wing drosophila, late blight of tomatoes and potatoes, and black rot of apples have become bigger problems. Perhaps winter cold will knock out these problems or set them back. For those that hitchhike north from warmer, more southerly locations, cold might drive those problems further south to make travel here more difficult or, at least, take longer. We’ll see.